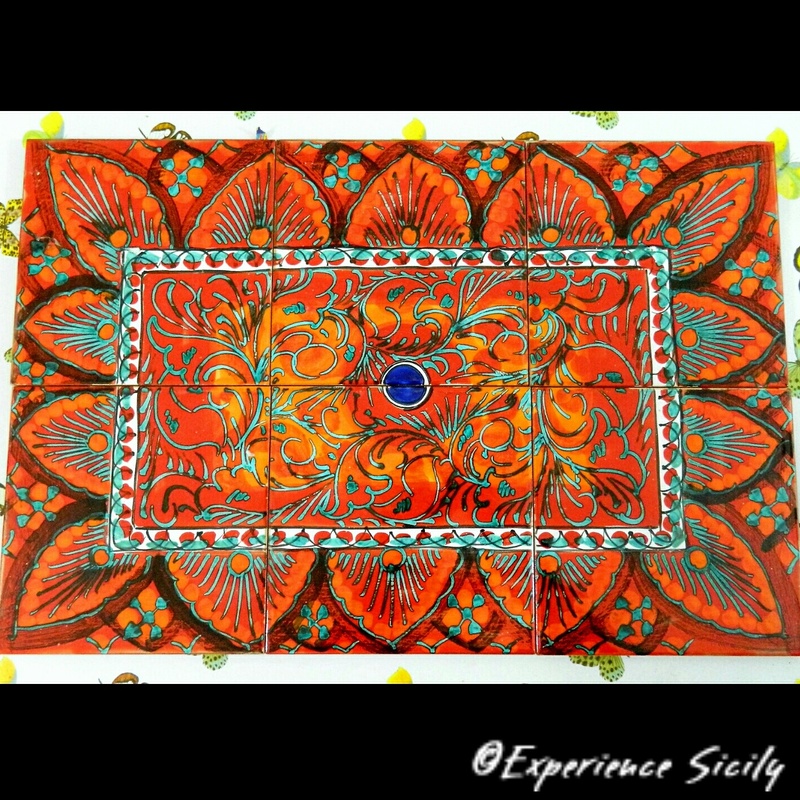 These ceramic tiles, which are painted in the classic style of artisans from Santo Stefano di Camastra, were purchased by my friend Jodi during our time together in Sicily in May. She plans to put them over her kitchen stove. Imagine having a piece of Sicily to look at each time you stir your sauce?